Cricket becomes the 4th US based wireless provider to offer the iPhone 4 and 4S. Here’s our review of the Samsung Galaxy S II HD LTE (SGH-I757M) on Bell written by our own HC - NO "i". With all the news about the upcoming Samsung Galaxy S III I was a little surprised that Bell would be offering the Galaxy S II HD LTE. There’s a good reason for the release; AT&T recently cancelled an order for the Samsung Skyrocket HD (aka SGH-I757M). Guess where those cancelled Skyrockets turned up? The Galaxy S II HD LTE on Bell is even wrapped in the “TXTNG & DRIVING... IT CAN WAIT” plastic that AT&T phones come in. From a strategic standpoint, Bell has been selling their Galaxy S II 4G for longer than TELUS and Rogers have been selling their variants so it’s time that they refreshed it. As for the name, Samsung Galaxy S II HD LTE I, one can only hope that they ship a pentaband version of this phone with no Android customizations. Then they can call it the Samsung Galaxy Nexus S II HD LTE X. "Two iPhones Walk Into A Bar"
They didn't specify when exactly these devices will be getting their upgrades. According to TELUS the S II X and Note updates are coming in early June, the Tab 10.1 in mid June and the 8.9 in late July. I was reading on Androidandme That the HTC One X, and [email protected]'s version have achieved 1 click root. It’s been quite a year for Nokia fans. A year ago, Nokia’s coolest phones were the X7 and the N8. Meanwhile, Android users had the HTC Sensation, Samsung Galaxy S II and LG Optimus 2x to choose from. We all knew Nokia was working on some Windows Phones but they weren't available yet. Now that Nokia’s Lumia phones are here, fans have a little more choice. However, the competition has gotten much more intense in the past year. Orlando, FL - BlackBerry World 2012 / BlackBerry 10 Jam - Research In Motion (RIM) (NASDAQ: RIMM; TSX: RIM) today unveiled its vision for the BlackBerry® 10 platform at the BlackBerry World™ conference in Orlando, Florida and released the initial developer toolkit for native and HTML5 software development. The toolkit is available in beta as a free download from http://developer.blackberry.com. Here’s our review of the HTC One X on Rogers. The Rogers version is the North American One X variant which only has a dual core processor while the rest of the world gets a quad-core processor. 4 > 2 right? Let’s find out. Last year was a banner year for Android hardware. It started off with the Motorola ATRIX. The ATRIX was my first dual core phone, plus it was the first one to have a 960x540 display. Its problem was that it didn’t seem fast for a dual core phone and its display and camera were lackluster. We also got the LG Optimus 2x. It had a beautiful display but also wasn’t very fast, also had a lackluster camera and it also shipped with an outdated version of Android. The Samsung Galaxy S II was a strong package but most variants had a lower resolution display (which looked outstanding). But there were also too many versions, if you wanted LTE you had to get one version, if you wanted penta-band then another. Choice is good but too much choice is confusing. The HTC Amaze and Raider where strong offerings but again you had to pick and choose. the Amaze had a penta-band radio but was stuck with a cheap looking display. The Raider had LTE but a slower processor. With all Galaxy S III rumors floating around I was a little caught off guard with the announcement of the Galaxy S II HD LTE on Bell. The S II HD LTE is going to be a Bell exclusive. It has a 720p HD Super AMOLED display, dual core 1.5Ghz processor, 16GB of storage, 1GB RAM and of course LTE. It's running Android 2.3 (Gingerbread) with an Android 4.0 (Ice Cream Sandwich) upgrade coming out later. Compared to the HSPA Galaxy Nexus you lose Android 4.0 (for now) but you gain LTE, a 8 mp camera (instead of 5mp), a slightly bigger battery and most importantly you get a microSDHC card slot. While the Nexus' processor is clocked at a lower speed from my testing it has similar performance to the S II HD LTE's 1.5Ghz processor. I'm presuming that it's a 1.5Ghz Snapdragon. Compared to the Galaxy S II LTE you gain slightly bigger 720p display and a slightly bigger battery. Really, it's like a Galaxy Note sans the S-Pen in a smaller package. 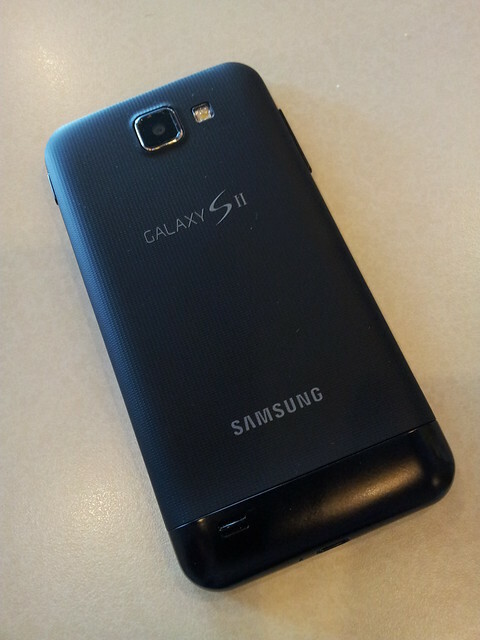 It's actually a pretty sizeable upgrade from the the S II LTE. The Sony Xperia S will be available at Sony Stores April 17th. Specs wise it's a HSPA+ phone with a very good 12mp camera, sharp-as-a-tac 4.3" 720p display, dual core 1.5Ghz processor, 1GB RAM, NFC, HDMI and a generous 32GB of storage. It currently ships with Gingerbread but a Ice Cream Sandwich update should be available in days. It's locked to Rogers. It's $99.99 on a 3 year. We tried one recently and were pretty impressed. It's a noticeable improvement over last year's Sony's but the competition is going to tough with the HTC One X and Galaxy S III around the corner. What do you think? 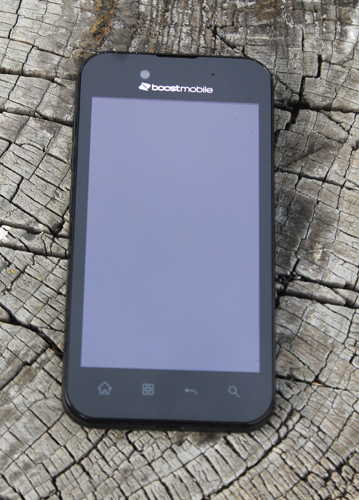 Boost Mobile recently added the LG Marquee to its lineup of Android smartphones. Prepaid carriers differ in many ways to the postpaid carriers like AT&T or Verizon. There are no contracts and lower monthly fees but the cost of the phones are usually higher because there is not subsidized pricing. This is the case with Boost Mobile who is charging $279.99 for the phone, but the monthly fee is only $55 for unlimited everything. It seems as an incentive for people to upgrade or have upgraded to a Blackberry 7 device, RIM is offering free Premium Applications for Canadian and US Blackberry 7 Smartphone users. Here’s our review of Apple’s new iPad. The first thing I noticed is that the new iPad feels noticeably heavier and thicker than the iPad 2. However, when I compare them side-by-side, they’re both essentially the same thickness (the new iPad is 0.6mm thicker). On the other hand, the weight of the new iPad is 10% heavier than the iPad 2. Apple calls the new iPad ‘the iPad’, while the older version is the iPad 2. Yes, the new iPad shares the same name as the original iPad. Think of it like Batman Begins, they’re rebooting the franchise. Just to make things less confusing I’ll call the new iPad the “iPad 3”. There are 5 new key features in the new iPad: LTE radio support, a higher resolution display, a new A5x dual core processor with quad core graphics, 1GB RAM (up from 512MB) and finally; a decent camera. MobileSyrup has posted an upcoming Android phone from TAG. Here’s our review of the Samsung Galaxy Note. Initially I was surprised at how massive the Galaxy Note is. After all, its 5.3” display doesn’t sound that much bigger than the Galaxy Nexus’ 4.65” but in the flesh, the difference is huge. While I can kind of use the Galaxy Nexus with one hand, I can’t do this with the Note without holding it in a less secure manner. After that I’m blown away at how nice the display is, more on that later. Design-wise, it sort of looks like cross between my original Galaxy S and a Galaxy S II. It has the bezel of the original S and pebbled plastic back of the II.